Shalita Grant is a relatively new face on the small screen. This Julliard graduate was nominated for a Tony Award in 2013 for her performance as Cassandra in Christopher Durang’s “Vanya and Sonia and Masha and Spike,” which also happened to be her first Broadway gig, in a role that she originated. It’s hard to top that, but Shalita did, by being cast in last season’s No. 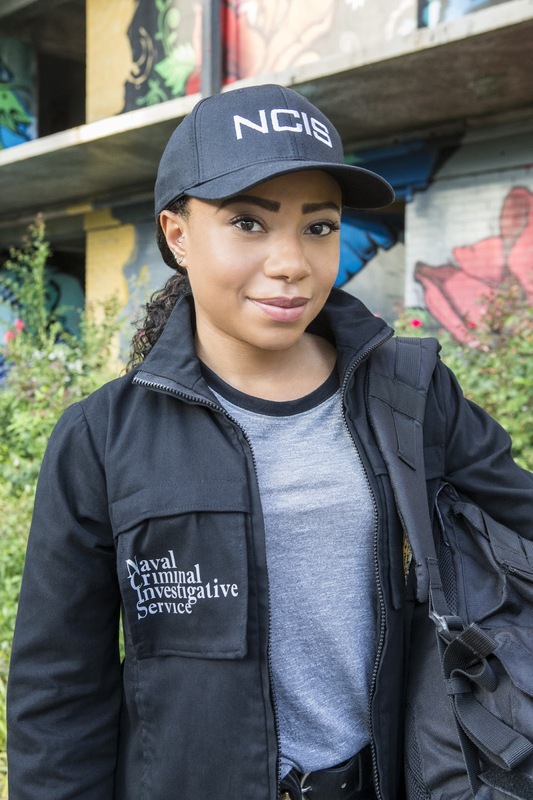 1 new drama, “NCIS: New Orleans.” While she played recurring character Sonja Percy last year, she was promoted to cast regular for the second season, which airs Tuesday nights at 9/8c on CBS. I caught up with the versatile and super-nice actress last week, and she’s thrilled to be a part of this wonderful ensemble cast. Celebrity Extra: How thrilled were you when you first got the part on “NCIS: New Orleans,” knowing you were going to be a part of such a popular and well-loved franchise? SG: When I got the job, it was for three to five episodes, and we’ll see from there. And I was like, “OK, cool.” So, while I was shooting the last episode (of the first season) here in New Orleans, I sent in a tape and booked another job, for PBS: a miniseries called “Mercy Street.” So we’re done shooting and they call everyone in, and I’m like: “OK. This is it. This is over. Bye, everyone.” And James Hayman, the executive producer, is like: “This is not the last time we’re going to see you. You’ve earned a series regular.” And I was all smiles. They told me on the spot, and I called my manager and said: “They announced it. So, it’s going to happen.” It’s been really, really sweet. And everyone I work with, I have a deep sense of respect for, and we have a good time, which is really awesome. CE: What do you love most about your job? SG: I love my job specifically because I am so active in the show. Yesterday I got a call from Jeff Lieber, the show runner, and he had watched episode 203 and was like: “Oh look. You’re a real good runner. You run real good.” I’m like: “Yeah? That’s great.” They have me doing all kinds of stuff. I can’t tell you, but girl, it’s crazy. I do all of the stuff. Every episode, when I’m reading the script, I’m like, “Oooo, what do I get to do this time?” It is so much fun. And it means a lot to me, as well, because I love Marvel; I love superhero movies. I love the action stuff. But it’s so unfair because there’s not a lot for women to do. So often in those stories, women take a backseat. They rarely have anything to say in those movies. So, it’s hard because it is a genre I really, really enjoy. But women are often not allowed to play. I work on a show where not only do I get to play, but it’s celebrated and it’s respected. It’s not like, “Oh, that’s a girl’s part,” but rather, it’s like, “No, let’s give this to Shalita to do.” They don’t make it a gender thing, which feels really great. And it’s really progressive as well. SG: It’s explosive. I mean, we blow up a bridge — it’s insane. Scott Bakula’s character (Dwayne Pride) is all about giving the newbie, or “probe,” the business. So, I’m a probe, and they really give me the business. They’re not letting me in easy; it’s not going to be easy for Sonja Percy. At one point, I call them my “agent abusers” because that’s kind of how they are. But Sonja can take it. And throughout the series, she will be dishing it out. Sonja and LaSalle, Sonja and Brody, and even Sonja and Pride are getting closer, and those relationships are all unique. It’s not all the same at all between Sonja and Brody, Sonja and LaSalle, and Sonja and Sebastian. You get to see where Sonja is coming from in some of these cases. CE: Now that you are a series regular, I’d assume that we’ll get to see different sides of Sonja this season and really get to know her. SG: Yes, all of those things. You get so many sides. And that’s another credit to our bosses Gary Glasberg, Jeff Lieber, Jim Hayman, that she feels like a real person. And they let me be funny and they let me be serious — it’s great. It’s not all the same. It’s wonderful. CE: What is it like working with this outstanding cast? You’ve got Scott Bakula, CCH Pounder … so many great people. SG: It’s so boring on set in that we all get along. Sometimes in the middle of the workday, I’ll just think, It’s so great when you like the people you work with. It’s so great and it’s so easy to go to work. And you watch everybody as they’re filming, and it’s just so great. We get a different director every episode, and I feel like we outnumber them. So we’ll be like, “Hey, next take, we should change this.” And Lucas (Black) is like 2 years old, and he’s always doing something. It’s so funny. And Zoe (McLellan) is so goofy. And Scott, he’s just fun and easygoing. I think everyone’s grateful to be working, and grateful to be working on something that means something to so many people. There isn’t a ton of ego. It’s just we like what we do. And it’s great to be included in that. CE: And now you’re included every single episode. SG: That’s right — every stinking episode!